echo1612 is incredibly ridiculously crazily extremely really cool! 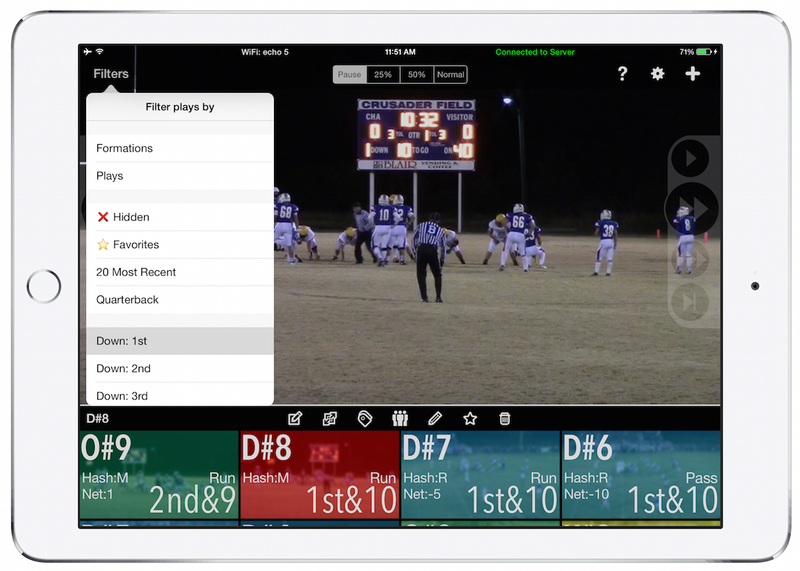 Now you can allow someone in the stands, booth, or even the endzone to send a video clip of a play to your iPads on the sidelines within seconds. 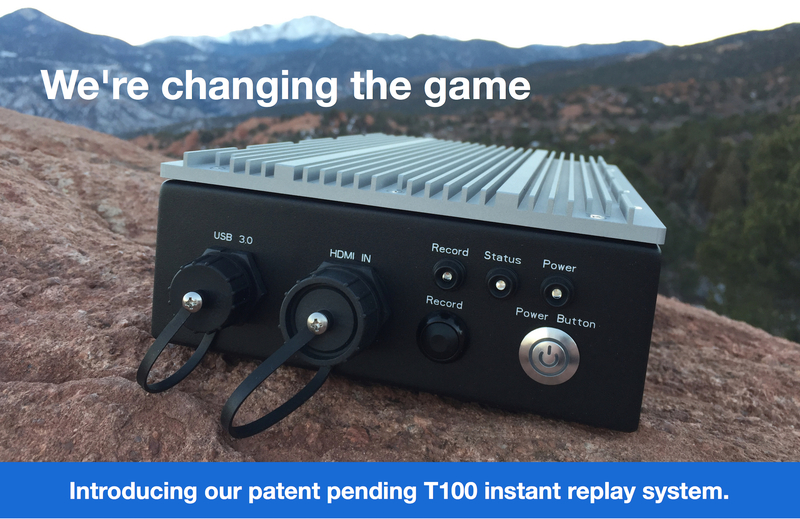 We have spent the last 4 years developing an all-in-one instant replay system. 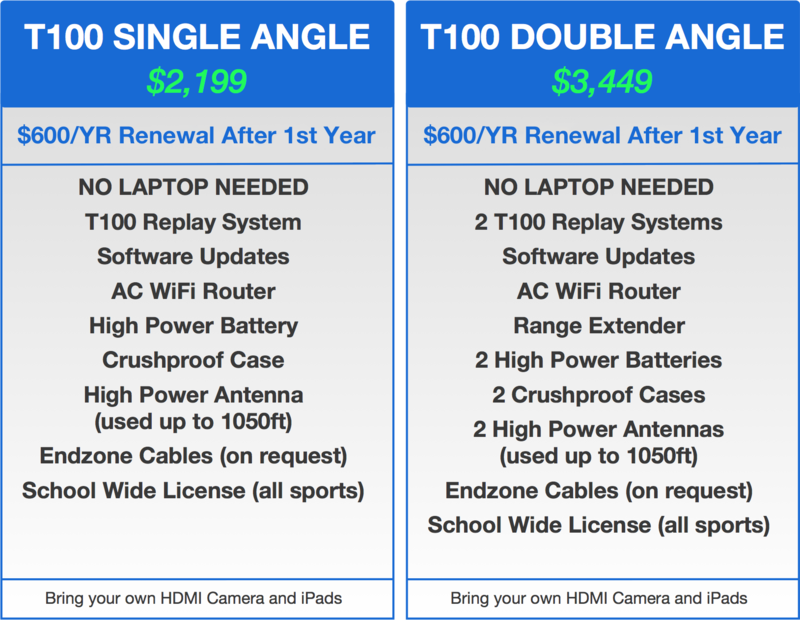 The T100 replaces the computer and capture box. Now to record a clip, its as simple as pressing the record button. Press Record on the T100 to start recording, Press Record again to stop recording. 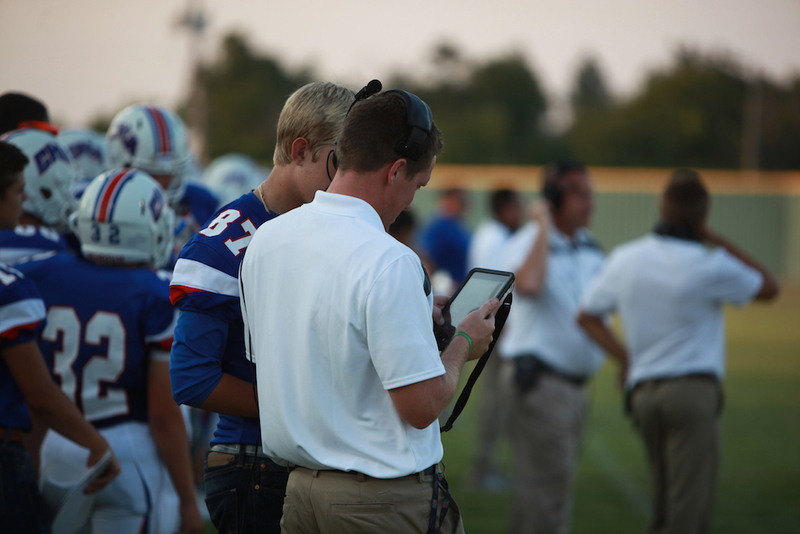 Now your clips is immediately transferred to all the iPads on the field. The coaches can then watch the plays over and over again looking for advantages or weaknesses. 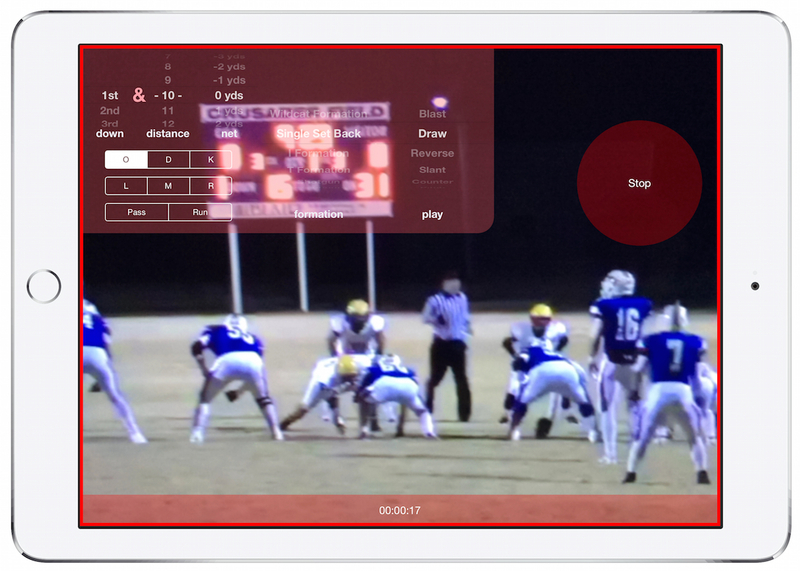 Archive your clips after the game or upload to HUDL / Krossover for analysis. 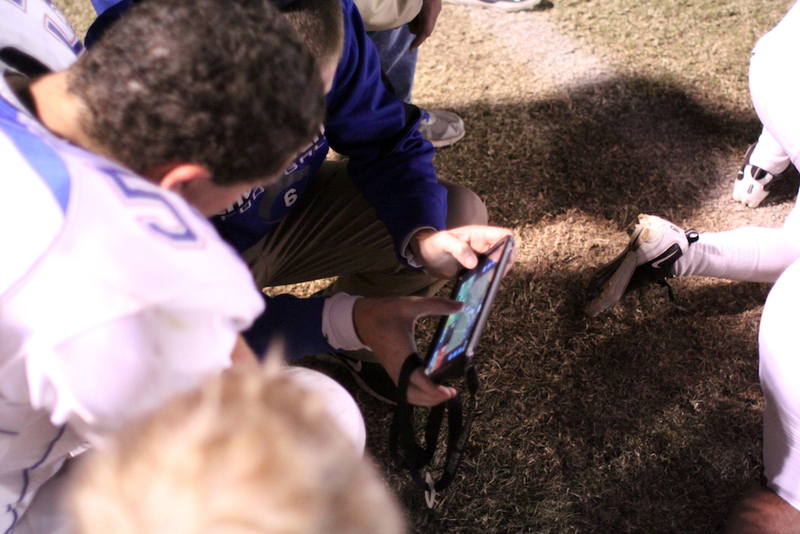 Seconds after a clip is recorded it is sent to the iPads on the field. (using a local WiFi network) You never have to wait until after the game again! Everything you need to send the clips to the iPads from the Camera/Computer is included. You do NOT need an internet connection. You can use echo1612 on the practice field without worrying about running network or electric cables. 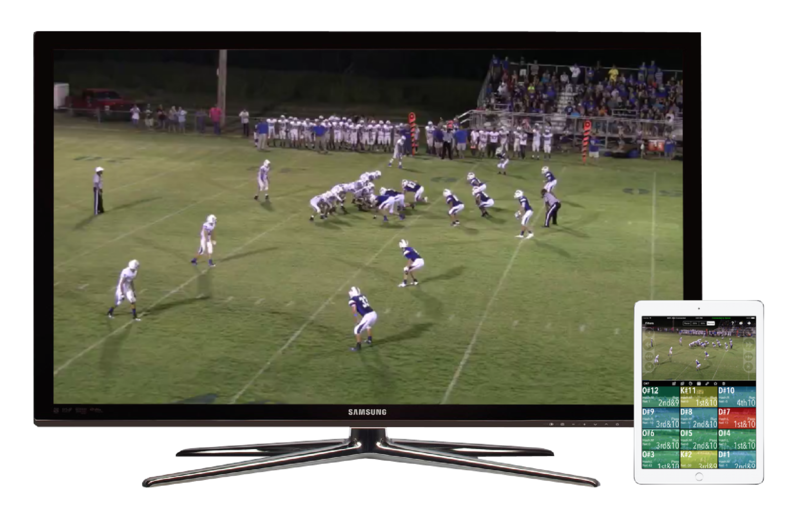 You can now watch your plays on your TV, without controls or black bars getting in your way. 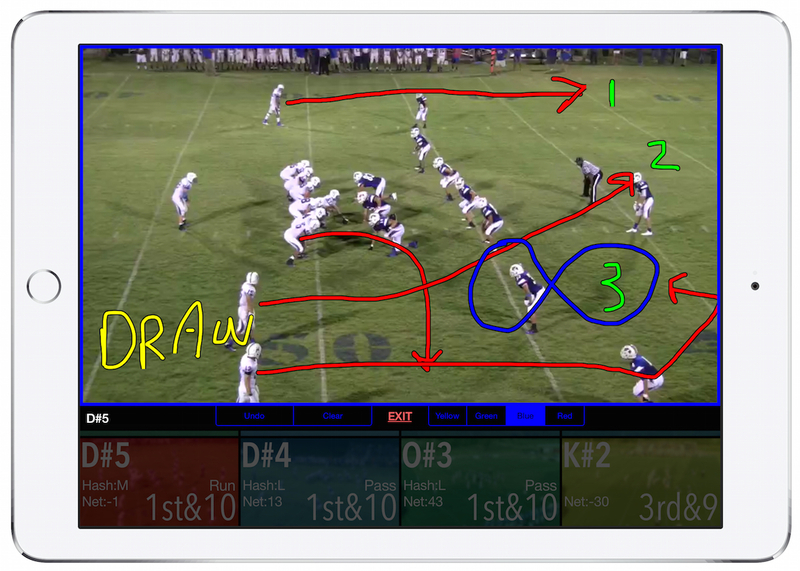 Mark a clip as Offensive Pass, 1st & 10 and it will be synced to the other iPads on the field. 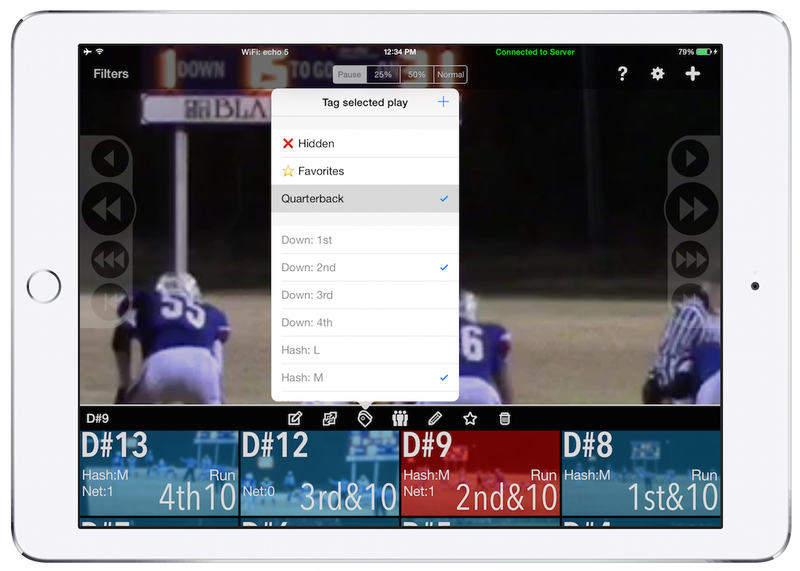 Or tag a clip as "Quarterback Review" and show those specific plays to your QB between plays. Remove the noise! Quickly filter your clips down to the few that are important. Find that offensive pass in seconds. We've completely rebuilt our drawing engine, you can now draw in colors and even undo a mark. View any clip at 1/4th or 1/2 speed and see exactly what happened. Video is the heart of the echo1612 and we feel playback controls are extremely important. We have added new tools that completely change how we use echo as a teaching tool. You can now Pinch & Zoom, quickly switch between next and previous clips, and the all new "Pause Mode" completely changes how we control echo. Plays are color coded by ODK to easily see when a drive starts and stops. Start and stop the recording from a single computer, then the video from both angles are sent to your iPads. You only need to ODK once for both your Endzone and Booth angles! Using the new video producer mode, you can start both cameras and ODK the clips as they are recording. Inspired by our customers, we rebuilt the ODK interface for the computer to look like an iPad. This will lower the learning curve, and frankly it just looks cool. 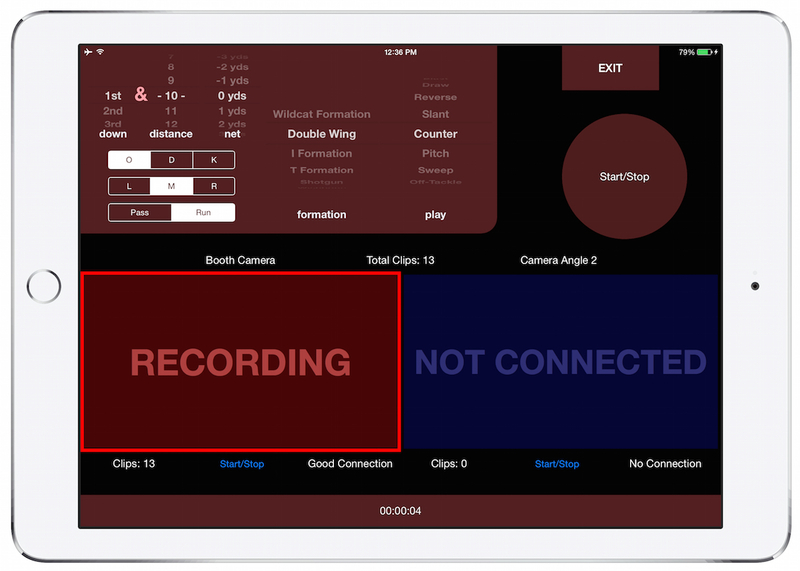 An all new, speedy fast, easy to use iPad Recording interface. Great for indoor sports, or if you need an agile angle when practicing. Save all the clips from a game as a zip file you can easily backup or send to another computer. We've all been there, its past midnight and your staring at your screen, entering ODK information. Not anymore! Now I just click "Export Clips" in echo and I'm ready to upload my clips with Mercury and import my ODK data. Fisher introduces his audience to HSFA’s new sponsor echo1612. Fisher talks with echo1612 founder Chad Cargill. "Echo helped give us an edge this year. We were able to make adjustments in the game and not wait until half to fix things. 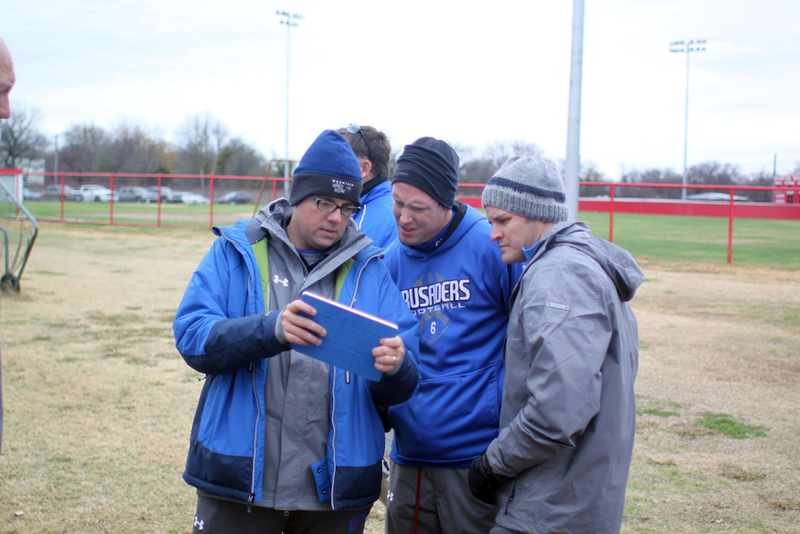 Having Echo on the sideline and in the pressbox gave our coordinators instant feedback after each series. Echo is a game changer!" "...it has changed the way we coach both in games and in practices..."
"This system is the best thing going in football." "...We absolutely love it! It has changed how we coach during games..."
"Best coaching aid I've used in 27 years as a coach...Awesome product!!!!!" "Echo was a huge factor in every game for us during our State Championship season. 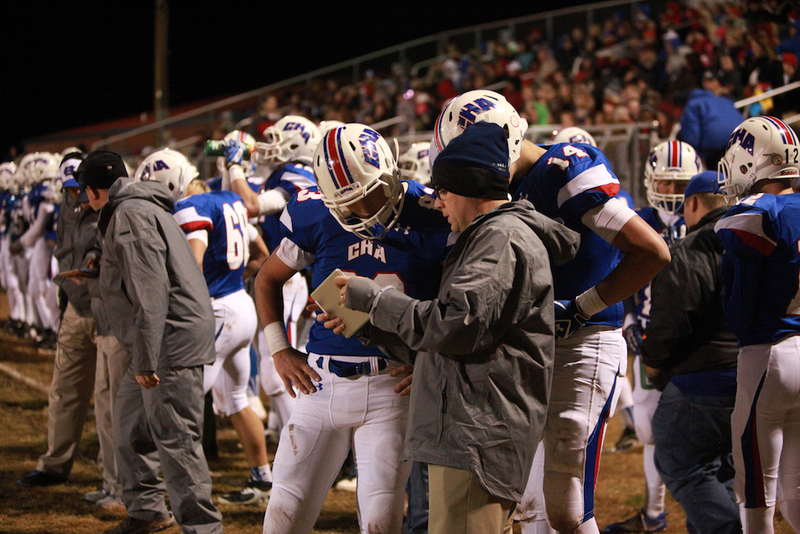 No bigger than the state semifinals when we made three adjustments off film at halftime that lead us to victory." What was the most difficult part of using the Echo system? "Parting with it when the season was over"
"Tremendous tool, made adjustments so much easier"
"Being able to show our players right after they finish a drive what our opponent is doing and if we are executing the way we should. A picture is worth a 1000 words." echo1612 is legal if your school uses NFHS Rules. USE OF COMMUNICATION DEVICES EXPANDED (1-6): The committee has expanded use of communication devices to allow, coaches, players and nonplayers to use any form of available communication technology during authorized conferences outside the 9-yard marks (7-yard marks in nine-, eight- and six-player competition), on the sidelines and during the halftime intermission period. Use of communication devices by players except during conferences outside the 9-yard marks continues to be prohibited. Absolutely not. 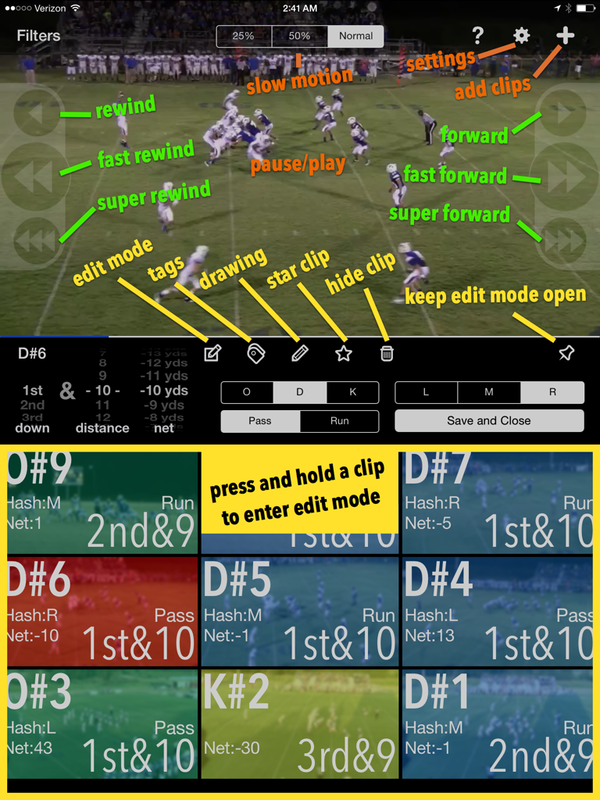 This is an in-game process that simply allows you to see your camera feed on the sideline to allow in-game adjustments. How many people are needed to run the system? Do I need WiFi or internet at the stadium? No, everything is handled locally, you can run the system in the desert! How many iPads can we use at the same time? We have used up to 6 iPads in a game without any speed issues. 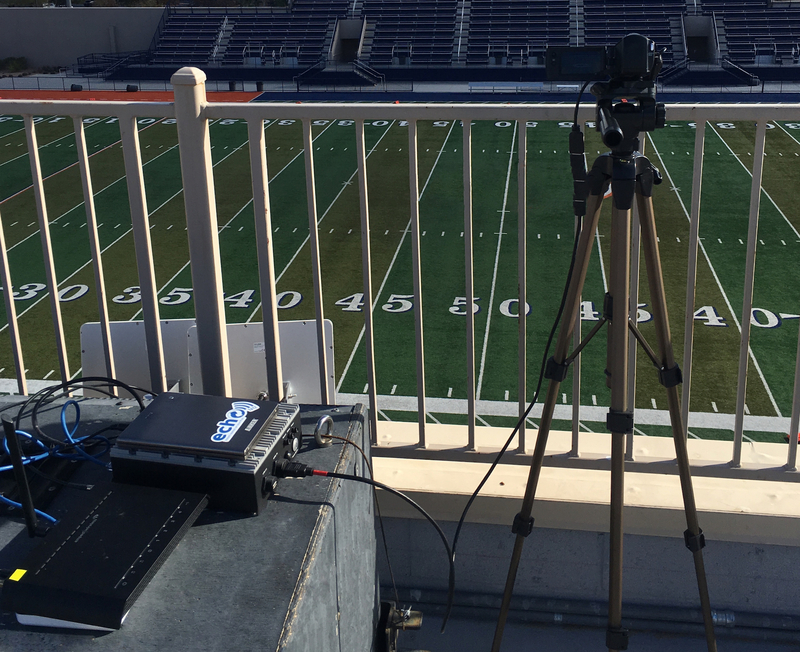 For Endzone Systems, you will need a HDMI port on your preview screen.